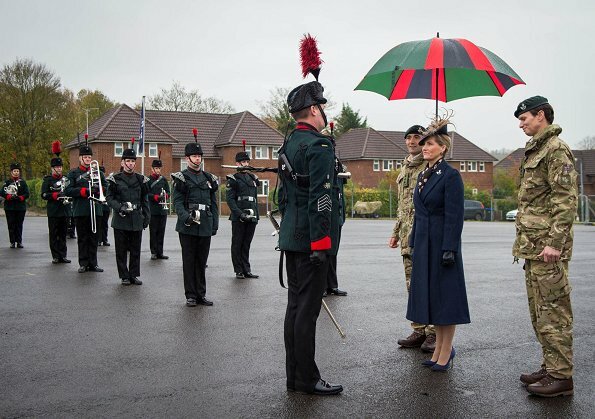 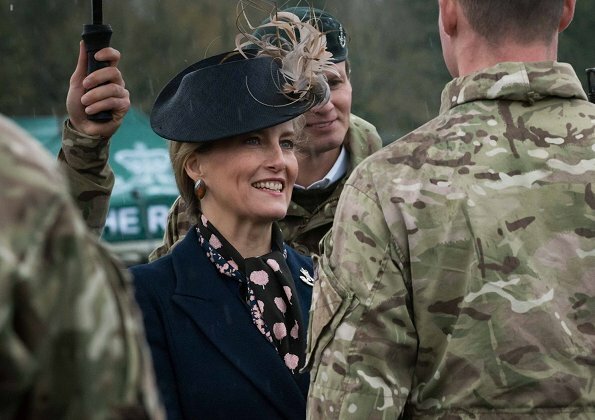 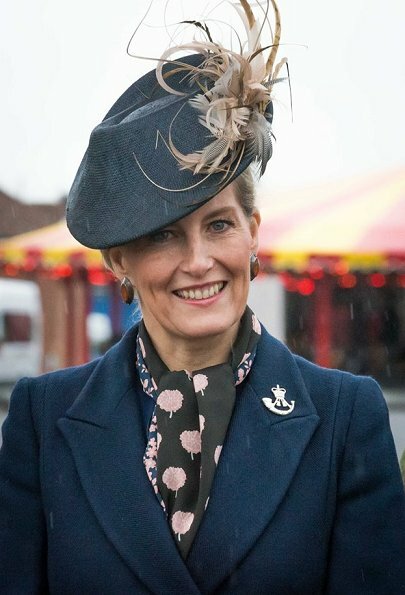 On November 14, 2017, Countess Sophie of Wessex (in her role as Royal Colonel) attended 5 Rifles homecoming parade at Ward Barracks in Salisbury. 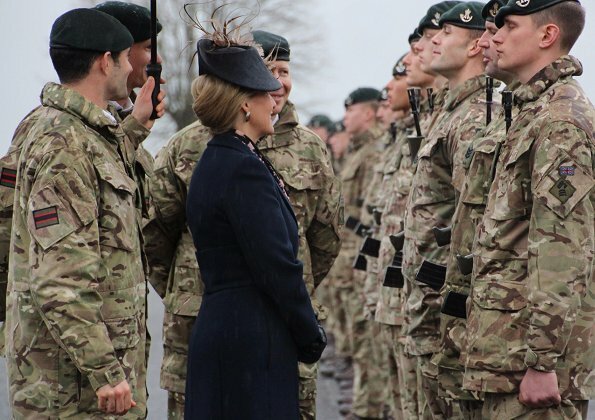 The 5th Battalion The Rifles has returned from a nine-month operational deployment to Estonia, where they’ve been supporting a major Nato mission in the Baltic States. 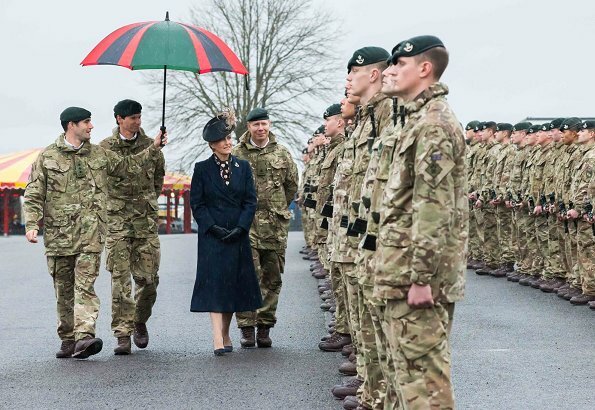 This is how a lady takes off a parade ;-))) Perfect look and attitude, coat, hair, hat with feathers, gloves.....but why, oh why stiletto pumps?? 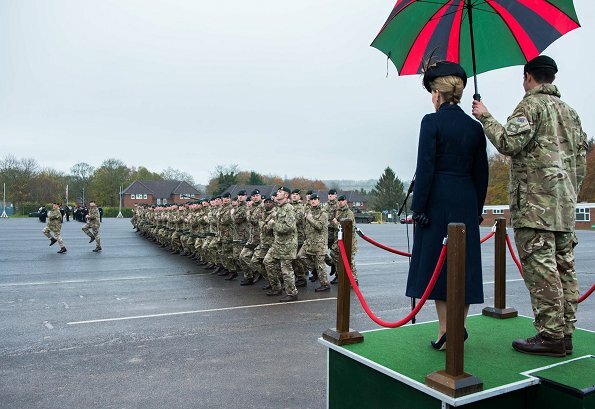 I will never get it, as if these were the only shoes. 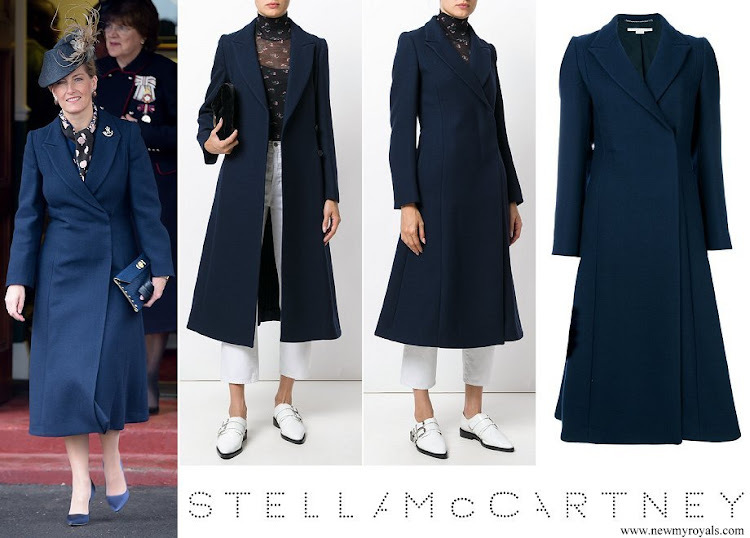 The look would have been much better finished off with block heels or boots. 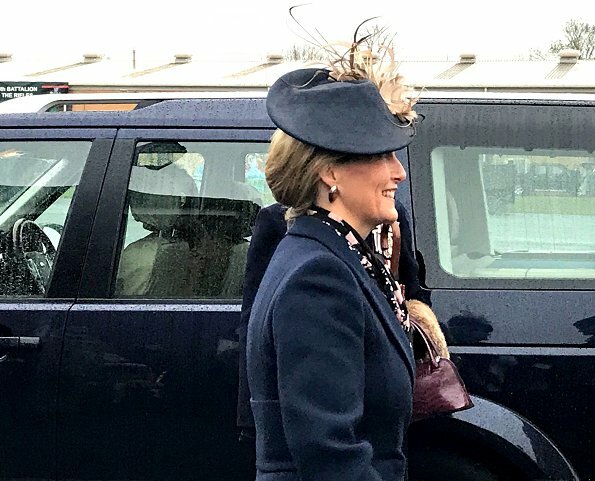 Maybe..........I love her whole outfit, and her smile.